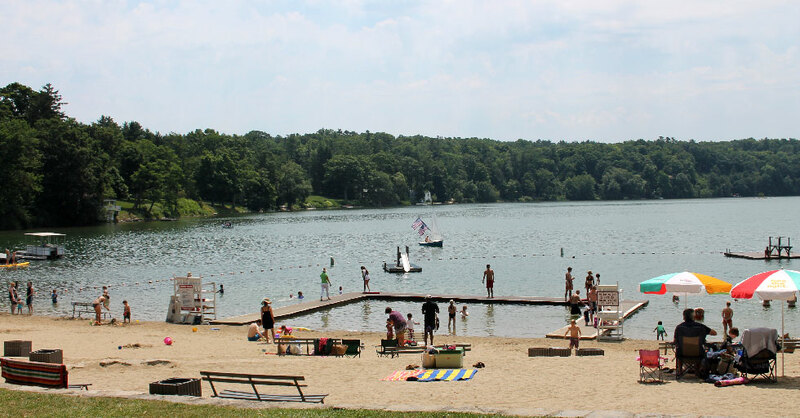 Lake Wononscopomuc has been a prime recreational asset for residents of the Town of Salisbury and its many thousands of visitors for more than two centuries. But the lake environment is constantly changing and maintaining the water quality and the health of the ecosystem requires long range planning and good lake management. There is much more information on the history of the lake in the Looking Back section of this website, but it doesn’t take much imagination to see how much has changed in the lake environment over the past 250 years. The watershed was primarily an agricultural area with numerous farm animals contributing waste that eventually migrated into the lake silt. Then there was the first industrial development with a major iron ore furnace. In fact, Lakeville was originally known as Furnace Village. In 1878 a railroad was opened along the western shore fueled by coal and bringing iron ore to the furnaces. By the turn of the 20th century trains were bringing thousands of visitors to enjoy picnics and other recreational activities. By the last quarter of the 20th century the watershed had become almost entirely residential. The railroad is gone and visitors come by automobile now in much fewer numbers. Half the residents around the lake are connected to the town sewer system. But the challenge to maintain the health and recreational viability of the lake remains. Members of the Lake Wononscopomuc Association have been working on development of a lake management plan for the past several years. The first step was to commission a study of lake vegetation in 2004 to give us an update on what weeds were in the lake both native and invasive. That study by Dr. George Knoecklein gave us three important categories of information. The first showed that there is a healthy native weed mass which is necessary for the fish population and to retard the development of algae blooms. The second part showed us where the Eurasian water milfoil is growing both for comparison with previous mappings and to indicate where treatment programs might be implemented. The third section of the report showed where species are located that are on the Connecticut Bio-diversity Databank list of threatened or endangered species. A more in depth survey was commissioned in 2007. Divers from the Connecticut D.E.P. Fisheries Division have searched the lake over the past several years to determine if the zebra mussel invasion has reached Wononscopomuc. So far there has been no sign of zebra mussels in our lake although they have become a serious problem in Twin Lakes. Aware that once zebra mussels enter a body of water there is no way known to eliminate them the lake association has undertaken a program in cooperation with the Town Grove staff to monitor all boat launches. Boats being launched at the Town Grove are monitored from the opening of fishing season on the 3rd Saturday of April to the end of October. Those that appear to have been in other waters within the previous week are not permitted to launch. In 2006 the association also commissioned a study of the lake’s trophic conditions and trends by Dr. Nina Caraco of the Institute for Eco-system Studies. The purpose was to update other studies that have been done since 1938 and to determine whether the problem of eutrophication is getting worse, better or staying about the same. Eutrophication is caused largely by increased inputs of phosphorus and nitrogen. It can lead to increased phytoplankton production and declines in water clarity, anoxia in bottom waters, algal blooms and fish kills. Her study concluded that Wononscopomuc can be classified as indicating a mestotrophic condition or being in the middle range of lake health. In addition she concluded that there has been no decline or little if any improvement in the lake’s trophic condition over the past few decades. The next step in formulating a long range management plan for the lake was to survey our members and other people who enjoy the recreational assets of the lake to gauge what may be their most important concerns. Survey forms were mailed in May 2007 to some 500 association members and other people who use the lake, forms were left at the Town Grove office and members of the association surveyed anglers starting at 5:00AM on the opening day of fishing season April 21st. 106 forms have been returned so far allowing us to formulate some general areas of interest. 30% of those responding said they were residents of Salisbury. Another 51% said Lakeville. The remainder said they lived in Sharon, Canaan, Millerton, Bristol, Torrington, Terryville, Sheffield, Lime Rock and Litchfiield. Most of those with out of town addresses came to fish on opening day. 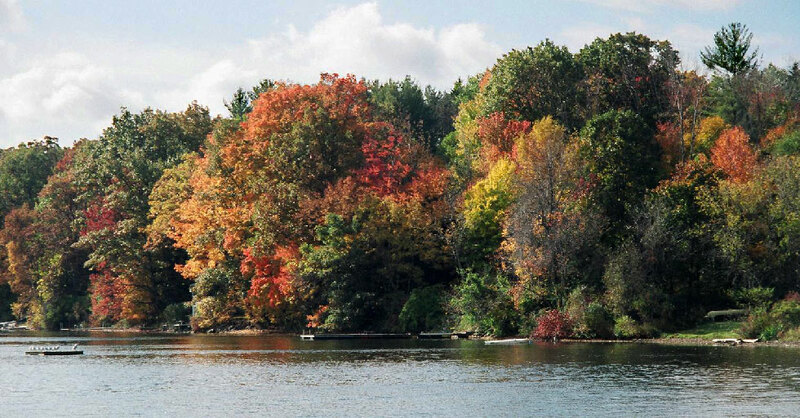 65% of those who said they swim in the lake said they use the Town Grove. 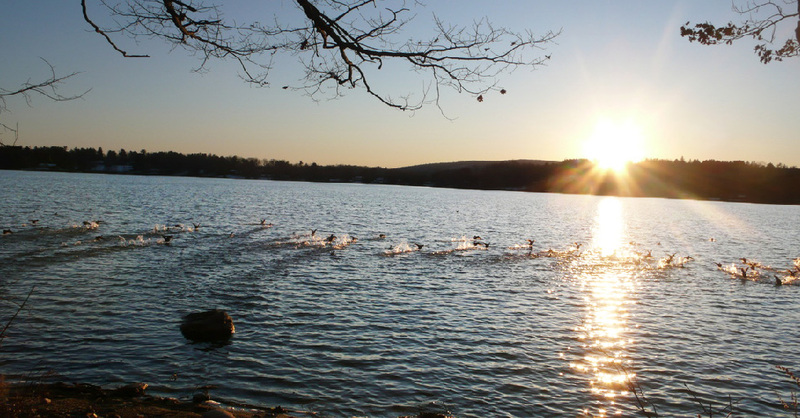 45% said they swim from their own property or at other locations such as Hotchkiss or Interlaken. Some respondents said they use both the grove beach and their own property. Thus, numbers in the survey do not add up to 100%. One comment that stands out is how people perceive the lake environment. 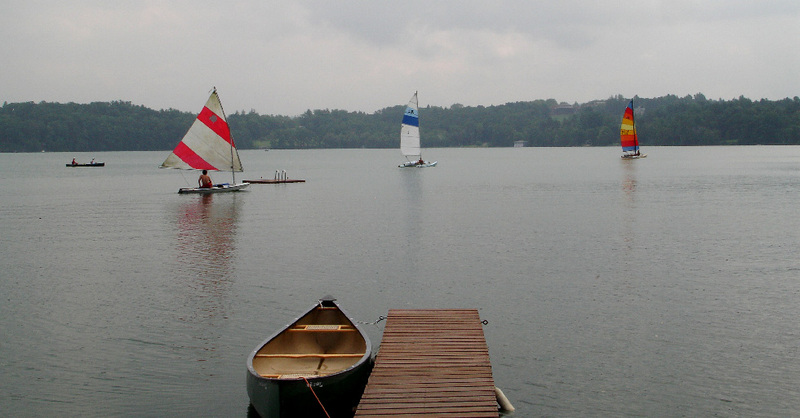 There was 100% agreement among those mentioning it that they like the quiet atmosphere on Lake Wononscopomuc. No one asked to lift the prohibition on powerful motor boats, jets skis or towing of flotation devices. 20% of those responding specifically mentioned items that might be called the aesthetics of the lake environment. They worry about over development on the shore or the construction of very large homes. Only 12% mentioned tighter zoning regulations as a possible solution. But 20% asked for more information on zoning regulations. Along the same lines 48% of respondents cited maintaining the quality of the lake water as one of their major concerns. Some comments also mentioned the cleanliness and attractiveness of the grove office, playground, beach and picnic area. In fact the only critical comment about the grove was from people launching fishing boats. They would like to have the launch ramp widened and the depth of water increased so they would not have to drive so far into the water to float the boats off their trailers. More than 42% of respondents cited the milfoil as a major concern, but only about half of them indicated they find it very distressing. Most of the fishermen, for example, said they can avoid those areas where their lines get snarled and some types of fish prefer the tall weeds. Only 14 people or 13% said they were adamant in opposing the use of herbicides to retard the milfoil. 18 people responding or 17% said they attended the February 2002 meeting where use of herbicides was proposed for Wononscopomuc. 67 people or 63% said they did not attend that meeting. 55 people or 52% said they were aware that the lake association pays for the barrier mats that keep the milfoil out of the Town Grove swimming area. Conduct community outreach to engage all segments of the community in efforts to conserve the health of the lake. Collaborate with other organizations and experts to create a watershed map and develop a comprehensive watershed lake conservation plan. The lake association board would appoint a standing committee to define specific responsibilities of the lake keeper, recruit the person/company and oversee his/her activities. The lake keeper would collaborate closely with Hotchkiss to establish and operate a data collection, monitoring and analysis system. 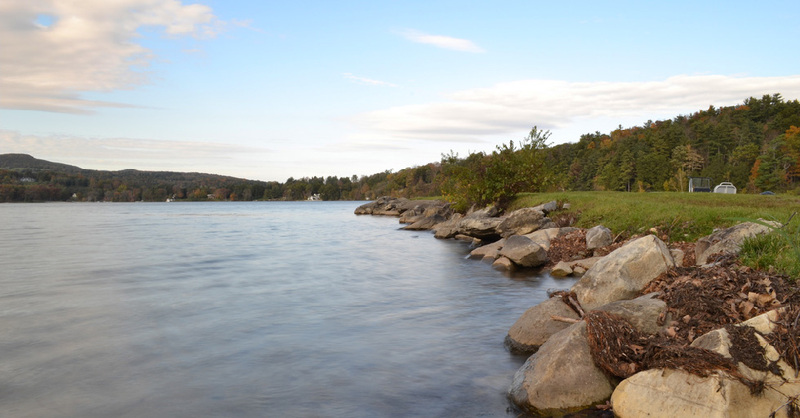 During the discussion it was agreed an important function of the lake keeper would be to spot improper actions by property owners in the watershed that could be reported immediately to the proper town authorities such as the zoning administrator. The Association discussed the lake keeper proposal with Don Mayland because of his many years of work on the lake, his past presidency of the lake association and his close contacts in the town and at Hotchkiss. The Hotchkiss School and The Town of Salisbury each agreed to contribute one third of the annual cost of the program. In addition Hotchkiss agreed to provide valuable advice and assistance in processing data collected each year. It was projected that detailed samples and data would be collected and analyzed for each of three years to build a sound knowledge base on the lake environment. Then a less rigorous schedule of data collection could be implemented to monitor changes in the lake environment from year to year.